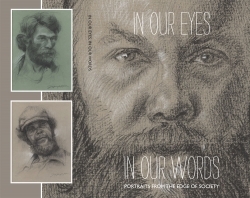 In Our Eyes In Our Words - Portraits from the Edge of Society, published by Music Care Inc, a book of 100 portraits of homeless people drawn from life by artist Jeffrey C Horn, is in the running for the 2019 Independent Publishers and Professionals of the Year Awards. Winners will be announced April 10, 2019. San Diego, CA, April 05, 2019 --(PR.com)-- Groundbreaking book, published by Music Care Inc, of life portraits of homeless people by fine artist Jeffrey C Horn has been nominated for an Independent Publisher and Producer book of the year award.